There’s not a day that goes by in Uganda that I don’t get asked for money. Being from the west, people assume I have money to freely hand out. It truly is a daily thing. When I stop and get out of my car, strangers come and ask for something. When I walk out of my house in the morning, our guard tells me about his needs. When I reach the ministry center, when I walk down the street, if I’m out to eat with my family. It never stops. There is a lot of need here. Most of the time it is legitimately needed, but it’s hard for people to understand that I don’t carry countless amounts of money to hand out. We try to meet as many needs and help as many people as possible; it’s just not possible to do so every day, to every person who asks. 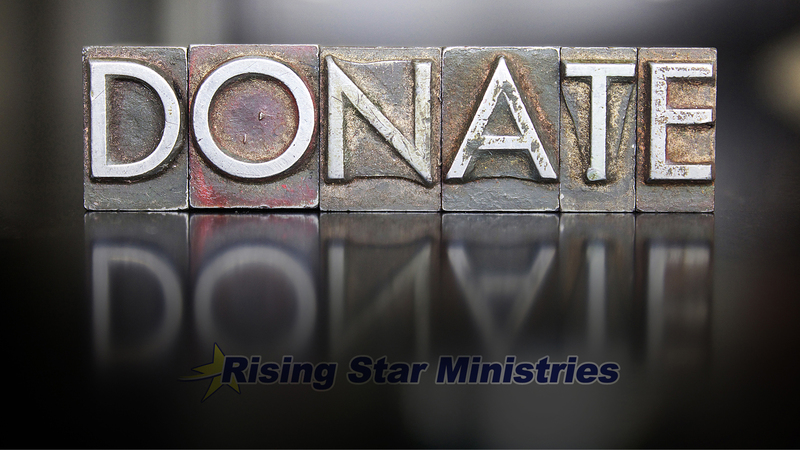 When you give to Rising Star your funds are used to help our programs function. Their used to teach the gospel through Sunday school style classes, literacy programs, tutoring, mentor-ship, and sports programs. That’s the easy part to see. However; they are also used to give people work, to give an income source. There is our staff. 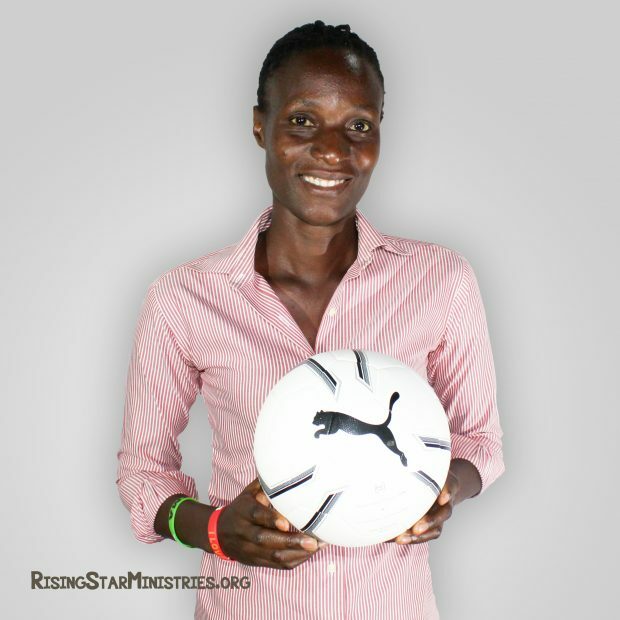 Agnes a mother of two who loves sharing the gospel with mothers of Rising Star kids. Olyvia who says working at Rising Star is her dream job because she loves teaching and teaching the gospel. Jonah who grew up in our program and is just finishing college in a country where youth unemployment is at a seemingly insurmountable rate. Christine who is a single mother, great mentor, and loves Jesus. Those people are easy to see. They are on the front line of ministry at Rising Star. What is not easy to see though is the others who get opportunities through your giving. A couple weeks ago I had players from our oldest age group come and ask to pay rent for one of their teammates. He was going to be kicked out of the house he was staying in because he didn’t have money to pay. 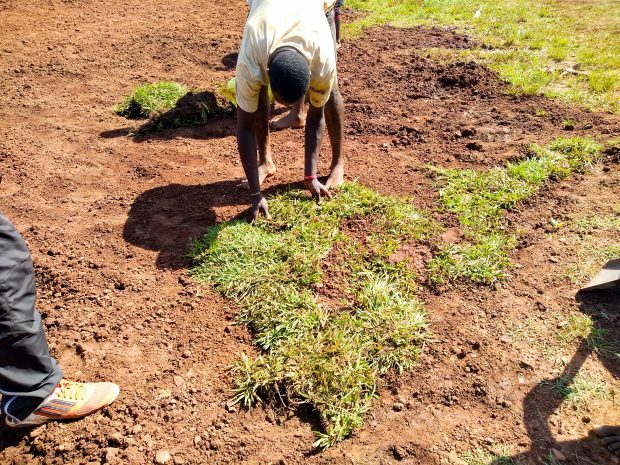 At the time I didn’t have much to offer him, but we were getting ready to begin some new work renovating one of our soccer fields and building a security wall around the compound of the school we work at. 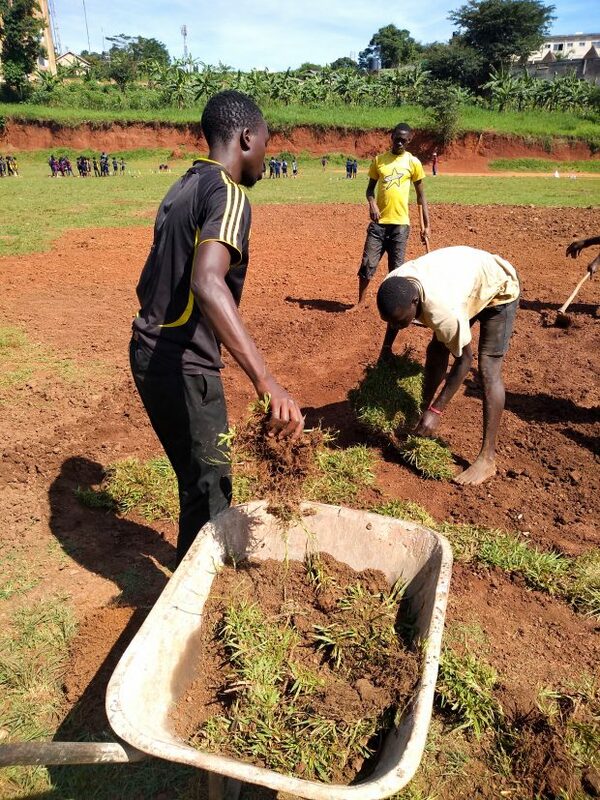 Because of your giving, we are able to provide work to the young man. He is now able to get some work, learn a new skill which he can take forward, and be able to pay his rent at home without getting evicted. Yes, the donations you give help sustain our family, but they go so much further. Your gifts to Rising Star make a big impact in our community. Thank you for making it possible and please continue to do so.